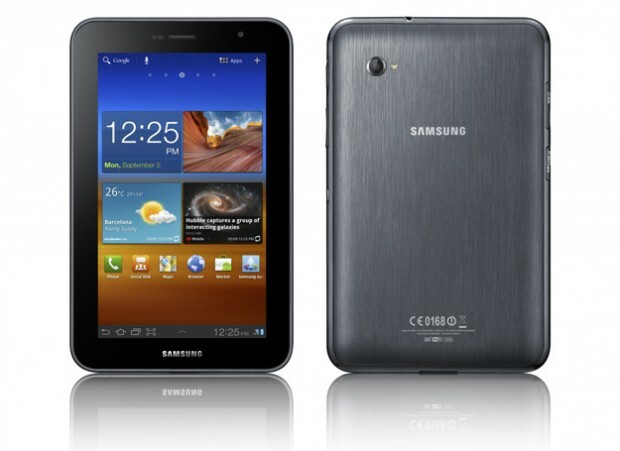 With Thanksgiving just around the corner, we’ve just gotten some great news about the Samsung Galaxy Tab 7.0 Plus, the price and the availability. Samsung confirmed Friday the Galaxy Tab 7.0 Plus will sell for $399.99 starting Nov. 13 in the U.S. Sales of the Plus will be throughout the U.S. including retailer such as Best Buy, Amazon, Tiger Direct, Fry’s and others, pre-orders begin Oct. 23, according to Samsung. This 1.2 GHz 16GB tablet runs Android Honeycomb, not quite Ice Cream Sandwich, but an upgrade should be available soon. One feature making this tablet unique is its Peel Smart Remote TV application, which allows you to tap on the screen to quickly find and watch TV shows on any TV or home entertainment system. Remember those universal remotes? Well the Samsung Galaxy Tab 7 Plus has it beat with this great additive. According to Samsung no other hardware or cables are required to control TV functions, you can also control a DVD, set-top box, or Blu-Ray player. Quick connectivity to social networks, like Facebook and Twitter, keeps you updated on what is being watched.